The Qatari Businessmen Association’s visit to Germany resulted in a number of agreements that will strengthen bilateral economic cooperation between Doha and Berlin and increase the volume of trade and investments. It was announced the Qatari government and private sector will participate in the Green Week Forum to be held in Berlin, Germany in January, and will be attended by 80 ministers. Business and Investment in Qatar Forum was also announced to take place in Germany during the first quarter of 2018, in addition to an agricultural exhibition that will be held in Doha with the participation of the German Ministry of Agriculture and Nutrition and associated specialized companies. As well as considering the means of localizing a number of German industries in Qatar’s Free Zones, the German authorities and the German-Arab Chamber of Commerce and Industry, have also harnessed their abilities to provide all the needs of the Qatari market. The meetings were led by Sheikh Faisal Bin Qassim Al Thani, Chairman of the Qatari Businessmen Association, Mr. Hussein Al-Fardan, First Deputy to the Chairman, HE Dr. Sheikh Khalid bin Thani Al-Thani, Second Deputy to the Chairman and Board Members Sheikh Hamad bin Faisal Al-Thani, Sheikh Nawaf bin Nasser Al-Thani, Mr. Sherida Al-Kaabi, and from QBA Members Mr. Saud Al-Mana, Mr. Salah Al-Jaidah, and also Sheikh Turki Bin Faisal Al Thani, Sheikh Jabor Bin Abdelrahman Al Thani and Ms. Sarah Abdullah, Deputy General Manager of the QBA. The Qatari Businessmen Association (QBA) kicked off its meetings in the German capital of Berlin by meeting with a number of businessmen at Qatar Cultural House, a unique architectural masterpiece, the first cultural house of its kind outside the State of Qatar. In his welcoming speech His Excellency Sheikh Saud Bin Abdul Rahman Al Thani, said that this cultural center will be officially inaugurated next Tuesday, November 23, 2017 by His Excellency Sheikh Mohammed bin Abdul Rahman Al Thani, Deputy Prime Minister and Minister of Foreign Affairs, with the attendance of a large number of diplomats, German business community and intellectual personalities. Sheikh Saud said that the activities of the cultural year "Qatar - Germany 2017" witnessed a remarkable success with the participation of Qatari and German artists, and will conclude with the opening of the Qatari Cultural House, which will also be a landmark for research and studies in which various German institutions will participate. Qatar Foundation is an important partner. Sheikh Hamad bin Faisal Al-Thani delivered a speech on behalf of the Chairman and members of the Qatari Businessmen Association, in which he welcomed the attendees. He stressed that culture plays a complementary and important role for the success of business and bringing together the German and Qatari peoples, stressing that Doha and Berlin have more than 60 years of commercial relations and 44 years of diplomatic relations, so that Qatar has become a significant partner for Germany in the Middle East and North Africa. Sheikh Hamad bin Faisal stressed that the two countries' relations are close and that there is a similarity between them in all areas of cooperation and at all levels. Both countries also have many cooperation and partnership agreements in the fields of science, education, technical training, research and development, new and renewable technologies, and other fields. In cooperation with the Embassy of the State of Qatar in Germany, the German-Arab Chamber of Commerce and Industry organized a business dinner in the honor of the President and members of the Qatari Businessmen Association in the presence of German businessmen and members of the Chamber. 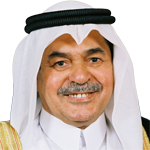 Dr. Peter Ramzour, President of the Chamber and former Federal Minister, delivered a speech welcoming the delegation of businessmen from both sides, stressing that the Arab Chamber puts all its resources to support Qatar and Qatari businessmen in all what they need during these circumstances. He also noted the resilience and strength of the Qatari economy in overcoming any crises, especially as Doha continues its foreign investments and its management with all efficiency, which is evident in the cooperation between Qatar and Germany in various fields. Qatar's ambassador, Sheikh Saud bin Abdul Rahman, said in a similar speech that the trade relations between Qatar and Germany have witnessed a great development in recent years, with the two parties wishing to expand areas of joint cooperation. He pointed out that the volume of trade exchange between the two countries amounted to about 3 billion euros currently, which makes Germany one of the most important trading partners of the State of Qatar, and the country's outstanding investment activities in Germany is one of the reasons for the interest in extending bridges of long-term mutual cooperation between the two countries economically and financially. He added that the volume of Qatari investments in Germany amounted to about 25 billion dollars, which include vital projects in the automotive, information technology and banking sectors, indicating that German companies are implementing projects in Qatar worth more than 20 billion euros, which confirms the depth of the relationship between the two countries. Sheikh Nawaf bin Nasser Al-Thani, member of the Board of Directors of the QBA, gave a presentation on Doha's current economic changes and various investment incentives, as well as the new Free Zones and logistics. He also included the Qatar Financial Center, which is one of the pillars of the Qatari economy that aims to contribute to the development of the financial services sector and the establishment of a business environment that will reach the global level by providing a supportive platform for local, regional and international growth. 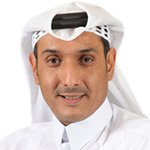 Sheikh Nawaf said that Qatar offers a unique business platform for investors to do business in Qatar and enable them to expand their activities to and from the Middle East. Operating companies pay only 10% as a tax on profits from local sources. Sheikh Nawaf talked about the importance of Qatar as an investment destination. In the current year's budget, it allocated 94 billion riyals for major projects. It provided about 46 billion riyals for new projects contracts, about 8.5 billion riyals for projects related to the World Cup in 2022, about 6 billion for educational and health projects and 25 billion for infrastructure projects and transport. All these figures indicate the effective partnership between the public and private sectors and the importance of private investments in the development of the Qatari economy. Sheikh Nawaf bin Nasser Al-Thani also noted Qatar’s unique geographical location in the heart of the Arabian Gulf and its advanced infrastructure, with the State spending about 160 billion dollars between 2011 and 2015, including the newly opened Hamad Port, capable of absorbing 7.5 million containers, the completion of the second phase of Hamad International Airport, the expansion of Qatar Airways' fleet of more than 150 tourist destinations and the creation of three new economic zones totaling 76 square kilometers, will all attract foreign investors. Dr. Gerard Spatel, one of the Ambassadors of the European Union gave a presentation on the activities of the Arab-German Chamber of Commerce and the economic situation in Europe. He clarified that what distinguishes European labour, especially German, is high efficiency, which ranks first in terms of profitability. Dr. Spatel said that Qatar is one of the most important investors in the European Union and major European banks, which makes it the best place to invest where the giant brands, banks, skilled labor and advanced education are located, considering that all countries of the Union respect the laws of investment and Qatari investments are welcome in any country belonging to the European Union. "We want to support Qatar in all possible fields, and it is an honor for us to visit the Qatar Businessmen Association," said Peter Blitzer, Federal Minister of State for Agriculture and Nutrition. Blitzer stressed that Germany has good relations with the Arab World and has excellent relations with the State of Qatar. He said that the delegation of the Qatari Businessmen Association made the right choice to visit the Ministry of Agriculture and Nutrition. Germany is a leader in food products and is a food exporter with more than 70 billion euros, and has surpluses in production. "We know that Qatar is interested in German food technologies, and there are developments in Qatar that make it choose new markets as well as the 2022 World Cup, so Doha needs to expand its markets," he said. He said that his country ranked third in the world in terms of food exports, and we want to develop relations with Qatar and meet its needs in the field of food and agriculture. Mr. Blitzer also stressed that the relationship between the two countries is not only distinctive, but is also typical of the German authorities. As for food security, he stressed that there is no country comparable to German food industries. The German minister said that Qatar is providing dairy products on its own and Germany is providing its expertise to Qatar, “especially since we are producing fodder in large amounts and are ready to link the German companies in these fields with Qatari companies.” "We fully understand that Qatar wants to complete production in Doha and we are ready to supply the Qatari market with powdered milk, juices and all semi-processed materials to be re-manufactured or completed in Doha," he said. He added that his country would do everything in its power to meet the needs of the market and suggested that his Ministry is seeking to establish an exhibition dedicated to the food industry in Doha, which makes the partnership strategic and practical between the two sides. "We are delighted to visit Germany, where we have a lot of investments, and our country needs German expertise in agriculture," said Sheikh Faisal bin Qasim Al-Thani, Chairman of the Qatari Businessmen Association. He added: "There is great welcome from the German government to invest in imports and manufacturing in the State of Qatar and both countries should take advantage of this." Sheikh Faisal also praised Qatar’s distinguished relationship with Germany in many fields. Therefore, there is a strong will to develop these relations to other industrial sectors. Sheikh Faisal said that Qatar relies on milk powder provided it is filled and manufactured in the Qatari factories, and Qatar is ready to import from Germany. As for animal feed, Sheikh Faisal said that Qatari companies are ready to import because of the large quantities of livestock, especially camels and sheep. 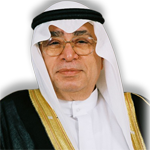 Mr. Hussein Al-Fardan, First Deputy to the Chairman, said that providing food and medical security is a guarantee of basic needs and a tributary to ensure economic stability and hence social stability. He pointed out that all forms of security attain stability, starting from achieving the basic pillar of human development to economic security and stability, social stability and national security. 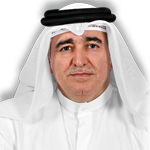 Al-Fardan also stressed that balanced bilateral relations are based on common interests with other countries, especially Germany, and comes within the framework of developing trade and economic relations based on common interests, mutual respect and the credibility required to ensure the continuity of the flow of commodities. 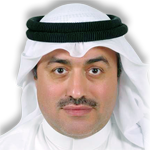 Dr. Khalid Bin Thani Al Thani, Second Deputy to the Chairman said that the Qatari economy absorbed most of the negative effects of the political and economic shock of the blockade. He also pointed out that the implementation of development projects helps fortify the economy, including the establishment of logistical supply areas and food security zones. This is why the QBA are turning to most countries to find suitable partners associated with continuing to realize the Qatar National Vision 2030, which is a comprehensive development plan that is ambitious and aims to diversify the economy in the long run. The motivation to implement it now on the ground is more urgent than ever. Sheikh Nawaf Nasser bin Khalid stressed that the issue of food is very important especially since last Ramadan was a shock to Qatar after the declaration of the blockade countries not to export to Qatar. He added that the Qatari private sector and the Qatari government were able to overcome the crisis, through great foreign relations, including with Germany. "We are seeking to attract foreign investments in various fields, especially the food industry, and we are seeking a strategic partnership in this sector with Berlin," Sheikh Nawaf added. His Excellency Sheikh Saud bin Abdul Rahman said that the economic diplomacy of his country is active, as it will collect the all the needs requested by the local market and will be sent to the German Ministry of Agriculture and Nutrition. "We are taking part in the Green Week in Berlin next January through a unique Qatari suite to showcase the latest technology, an opportunity to connect with 80 ministers of agriculture around the world. Qatar can, therefore, achieve self-sufficiency," he said. Sheikh Faisal bin Qasim stressed that the Qatari private sector will also participate in the Green Week meeting, leading a high-level delegation. He also invited the German Minister to visit Qatar with a group of businessmen and German companies. The German Minister welcomed the participation of Qatar in the World Agriculture Forum and said that after the formation of the government he will pay an official visit to Qatar leading a delegation of German private companies. "Qatar has an excellent infrastructure and cooperation with Qatar is always based on honesty,” he said. The delegation of the Qatari Businessmen Association met today with Prof. Dr. Lars Hendrik Röller, chief economic and financial adviser to German Chancellor Angela Merkel at the Ministry's headquarters, who welcomed the members of the QBA and conveyed the greetings of the German Chancellor to the delegation. Prof. Röller gave a brief overview of the economic situation in Germany under the formation of the coalition government, explaining that the government is fully aware of the benefits of Qatari investments in the German market, stressing that the experience of partnership between Qatari and German companies is successful and satisfactory to the German party. He also highlighted Germany's economic relations with countries and major economic organizations. He added that the German government will work to develop new tax laws that will encourage foreign investors. The Minister of Economy and Finance Ms. Brigitte Zebrais welcomed the audience and said that she visited Qatar as part of a large delegation of economic officials in 2015. She was impressed by the developments in Qatar and showed that the countries are linked by common economic interests. The Minister stressed that Qatari investments in German companies are good and strategic and Berlin encourages Qatari investors to invest more in Germany. Sheikh Faisal bin Qassem Al-Thani said that German manufacturing companies are welcome to locate in Doha and he invited businessmen and the Minister to visit Qatar to discuss business opportunities. 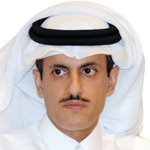 HE Mohammed bin Abdullah Al Rumaihi, Minister of Municipalities and Environment, said that Qatari investments in Germany are very important, as is the case with German investments in Qatar. Qatari businessmen are open to the international markets to discuss new partnerships. He said that the opportunity is important for Germany and German companies to take a share of the proposed projects, especially after the various Emiri procedures that concern foreign investors. He stressed the existence of three important sectors, namely food, pharmaceuticals, and chemicals. The role of industrial zones and small and medium-sized German enterprises to invest in Qatar was discussed. H.E. Al Rumaihi confirmed that a team visited the city of Dusseldorf, southern Germany, where there are industrial areas, in order to cooperate with German expertise in the field of industrial and management of areas allocated for this purpose. Al-Rumaihi announced that the Business and Investment in Qatar Forum will be held in Berlin in April 2018. The conference will bring together about 600 businessmen and senior government officials, which will further strengthen bilateral relations and increase trade exchange between the two countries. Sheikh Nawaf Nasser bin Khalid said that Germany is the third source to Qatar and the first European, praising the strong partnership between Volkswagen, BMW and Mercedes with Qatar for a long time. This confirms that Qatar is a long-term partner with Germany and not a partner according to current circumstances. The Minister welcomed the anticipated Qatari Business and Investment Forum in Germany and put the Ministry's capabilities to the organizers of this huge Forum to make it successful in all aspects, suggesting that the Forum will focus on food, energy, medicine and chemical sectors. The Federal Ministry will invite the German states and specialized companies to make this Forum a success. Al-Rumaihi said that Qatar's private sector has invested heavily in the industrial zones, which are free zones that will open big markets in neighboring countries such as Iraq, Iran, Yemen, Syria and others. Doha is attracting investments in the industry as there are promising new markets in the near future. The two sides agreed on the need to accelerate the Business and Investment Forum, where the Minister of Economy and Finance will invite all German companies from different states, and from the appropriate sectors, for the benefit of both countries.